The Hartford Yard Goats AA team for the Colorado Rockies held their 2nd annual Hot Stove luncheon in January and both Picture Catcher Bat ® and Ball Catcher Bat ® were part of the event. PCB was used as the centerpiece at each table with customized photos. 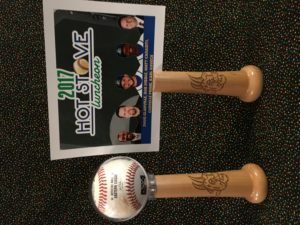 BCB also made its debut at the head table with the Yard Goats logo engraved on each bat and a Yard Goats baseball added to make the eyeing catching centerpiece at the head table. Some of the guests included ESPN’s Karl Ravech, Sarina Morales and former ESPN and former major leaguer Doug Glanville along with former Reds flamethrower Rob Dibble. 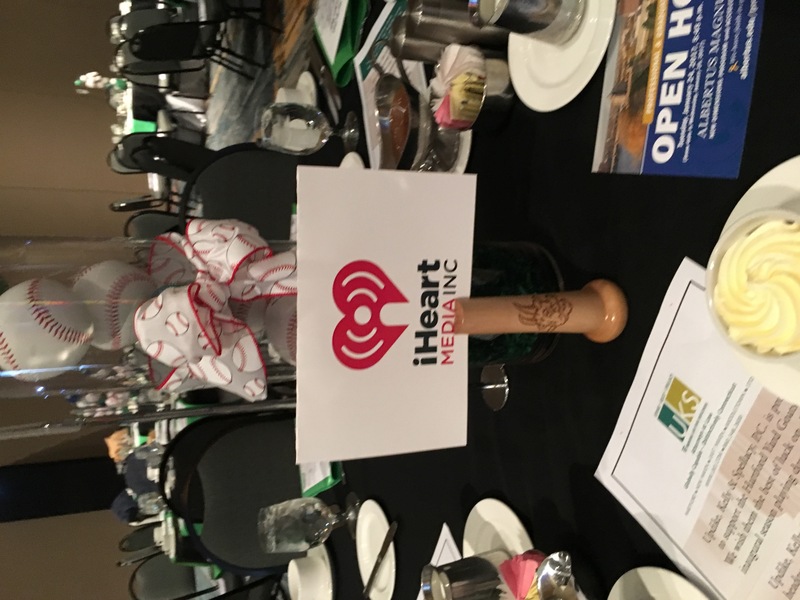 The event raised funds for the Hartford Yard Goats Foundation, a non-profit organization that funds charities and provide social, educational and scholarship opportunities for youths.